A great way to give back. 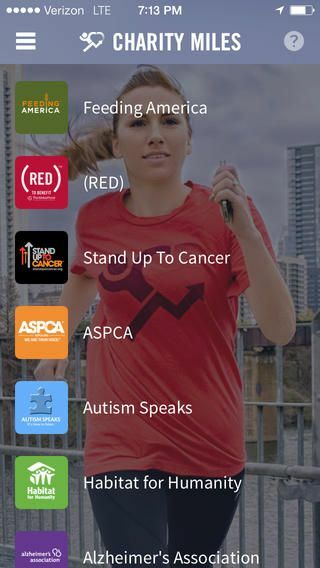 The Charity Miles app is free and compatible with both Android and iOS phones. Having engaged various corporate sponsors, there is a pool of $1 million that they will donate based on the number of miles you bike, walk or run (bikers earn 10 cents per mile; walkers and runners, 25 cents). This is an easy app to use, and the only difficulty you’ll have is deciding which charity to choose – Nature Conservancy, ASPCA, Girls on the Run, Wounded Warrior Project, Feeding America, to name a few. As they say, Every Mile Matters!